Even with a regular hand wash, nothing brings out the shine like a professional cut and polish. If you paint is starting to look a bit old and faded Low.Co offers a cut a polish service. The process works in 3 stages, each car is colour sanded by hand in the more damaged areas using fine grade sandpaper which will remove superficial scratches that have not passed through the clear coat and can also minimise paint oxidisation. It is then cut by using a buff and a fine grade cutting compound which will take away most of the scratches over the vehicle, minor paint fade etc. 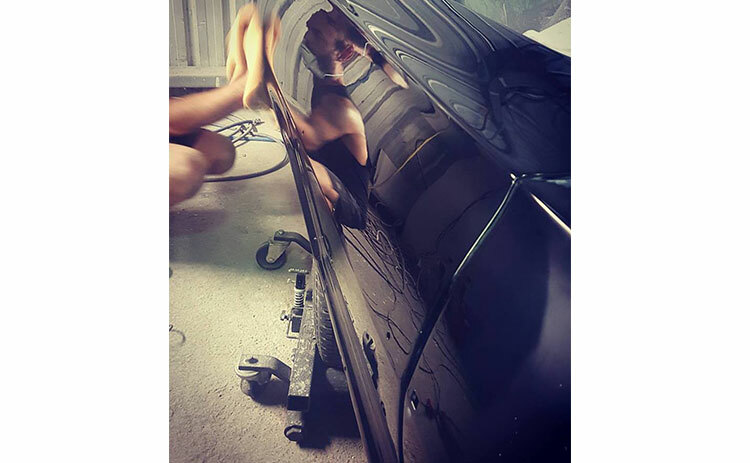 The last stage is a hand wax which also helps to rejuvenate and leaves a protective coating over the paint and brings the colour back to life and gives it that shiny new car feel once again. If you’re planning to show your car in a competition, let us help with a professional cut and polish. Call us Monday to Friday from 6:30am to 6:00pm. Our workshop is in Arundel on the Gold Coast.